The acclaimed movie Predator starring Arnold Schwarzenegger was one of the most memorable of the 80’s and featured and epic battle between Arnie’s Commando character and the warrior alien who enjoyed hunting humans for sport. 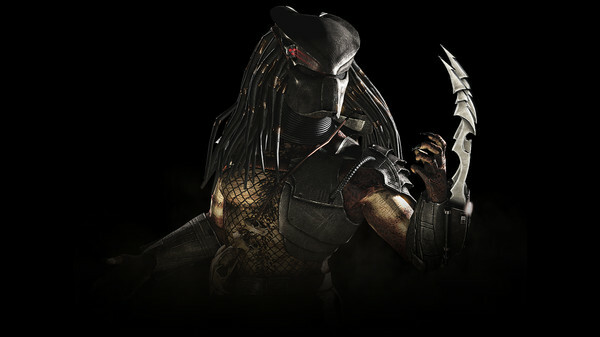 And Predator, who is one of the guest fighters available for Mortal Kombat X as DLC, is as fearsome a fighter in the game as he was in the 1987 movie. Predator has 3 combat variations: Warrior, Hunter and Hish-Qu-Ten. In the first one Predator can self-detonate, mimicking the ending of the Predator film (laugh included) and the resulting explosion damages both Predator and his opponent. Obviously such a suicidal move should only be tried when one’s life bar is fuller than that of the opponent, of course… The Hunter variation will be of interest to those who want to play defensively, as Predator can heal himself with a medi-kit, while the final variation allows Predator to use his shoulder mounted plasma cannon to blast his opponent away.